Let’s say you want to buy one of the new 2017 Honda Civic models. It’s a fantastic car in all its iterations, and you’ve been thinking about buying a new vehicle for quite some time. So you head into Pacific Honda and work with a sales associate to test drive a few, and when you find the one you like, you sit down to figure out how you’d like to handle financing. That’s when the big question arises: do you buy the car, or do you lease it? San Diego, CA customers ask us all the time which is best, and the reality is that there’s no easy answer to that because it depends completely on the person. 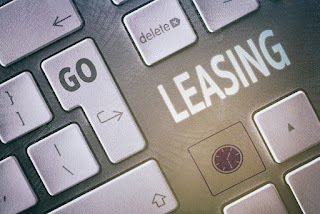 If, for example, you’re the type of person who loves to drive a new automobile every two or three years and you’re not planning on driving the vehicle more than 10,000 or 15,000 miles a year, then leasing probably is the best option for you. Not only do the terms of leases usually last for only 36 months, the monthly payments and money down typically are lower than buying, too. Less money per month for all the newest models? It’s hard to go wrong with that. If leasing is so great, what kind of customer would actually buy the vehicle, then? Financially, this can be a smarter option because if you buy the vehicle, those monthly payments will eventually end, even if they are typically higher than what a leaser would pay month-to-month. The difference, though, is that those payments will never stop for leasers. If you own the vehicle outright, it absolutely is possible to have a monthly payment of $0. That, combined with no annual mile limits, makes this an attractive option for a lot of buyers, too. If you’d like to test drive any of our Honda cars or inquire about your financing options, come pay us a visit any time and we’ll be happy to make sure you make the best financial decision for you!